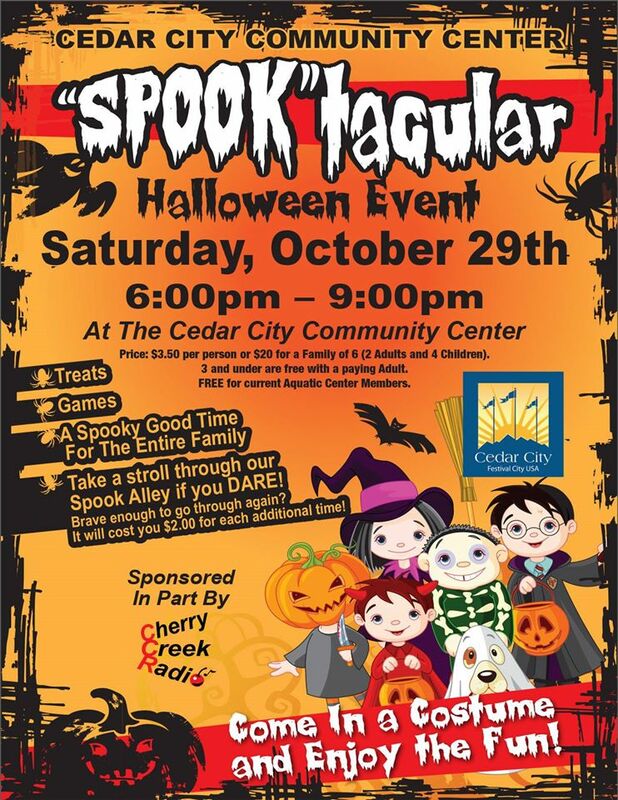 The Spooktacular Halloween Event will be at the Cedar City Community Center on Saturday, October 29, 2016 from 6:00 pm to 9:00 pm. 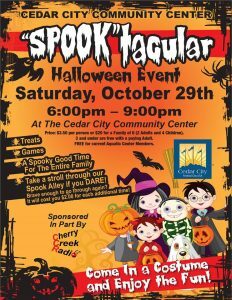 There will be treats, games, a spooky good time for the entire family and take a stroll through their spook alley if you dare! Come in a costume and enjoy the fun. Price is $3.50 per person or $20 for a family of six (2 adults, 4 children). Children 3 and under are free with a paying adult. Free for current aquatic center members. Sponsored in part by Cherry Creek Radio. More info at the Cedar City Leisure Services Page.